Treat yourself to the inside skinny on rendering fully programmable and physically correct light simulation. Michael DeForge was trained by Mental Ray creators Mental Images, and now he’s ready to share that knowledge with us. 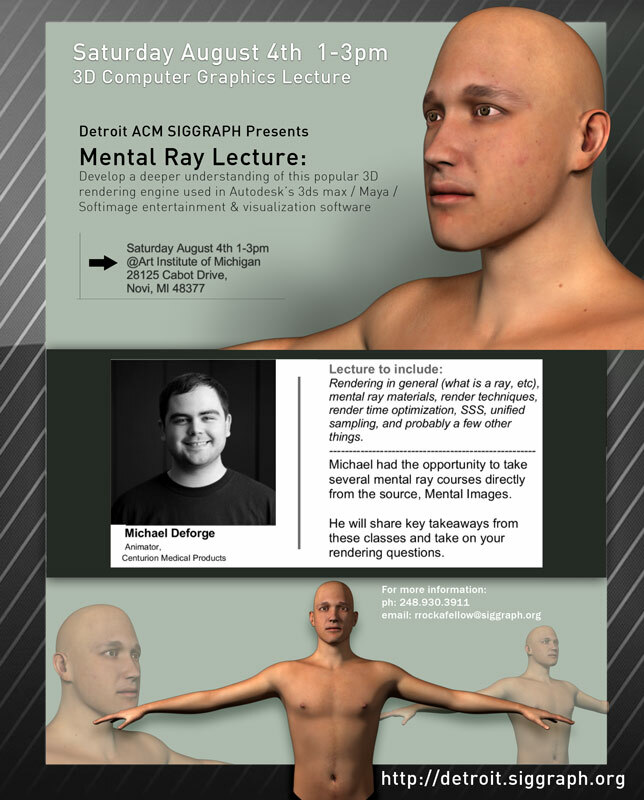 This is a FREE Detroit ACM SIGGRAPH event. All are welcome. The event will be held on August 4 2012, beginning at 1:00 PM. Our host for this event is the Art Institute of Michigan, located at 28125 Cabot Drive, Novi, MI 48377.